If you’re looking for something to WOW your guests at your upcoming wedding or special event then look no further. 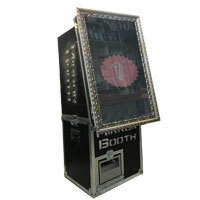 Photobooth.co.uk is the one-stop directory for all your hire needs. Not sure what to hire? Don’t fret – check out our gallery of products to get a better understanding of how these products look in action. Once you’re ready, click get a local quote to send out a quote request to all local suppliers. 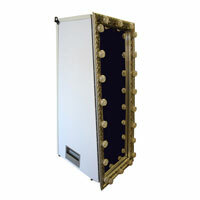 All our suppliers have been vetted by Photobooths – the UKs largest manufacturer of photo booths and Magic Mirrors. 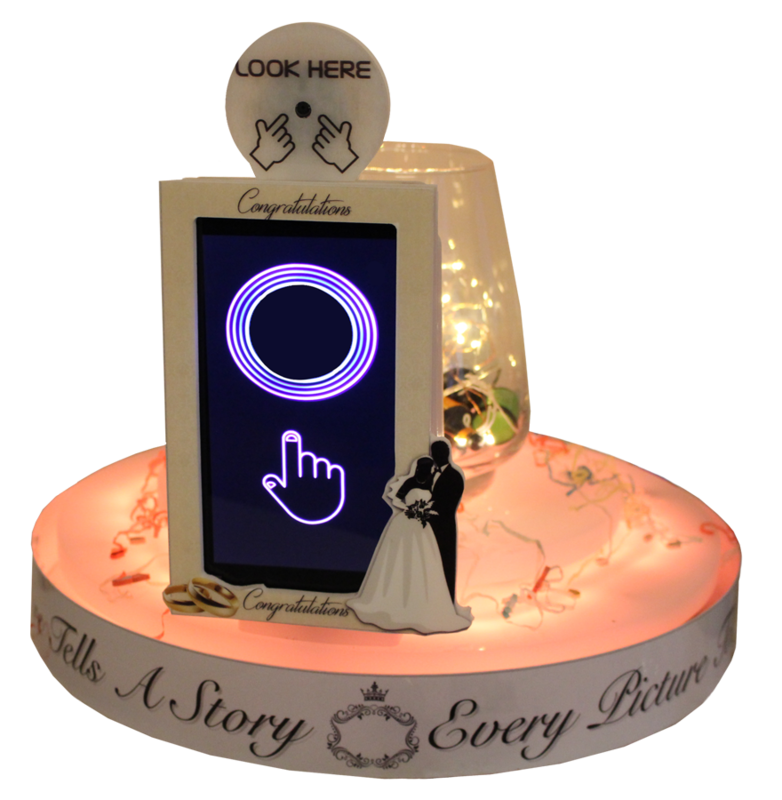 The NEW Table Selfies are the latest technological centrepiece to have at your wedding or special occasion. 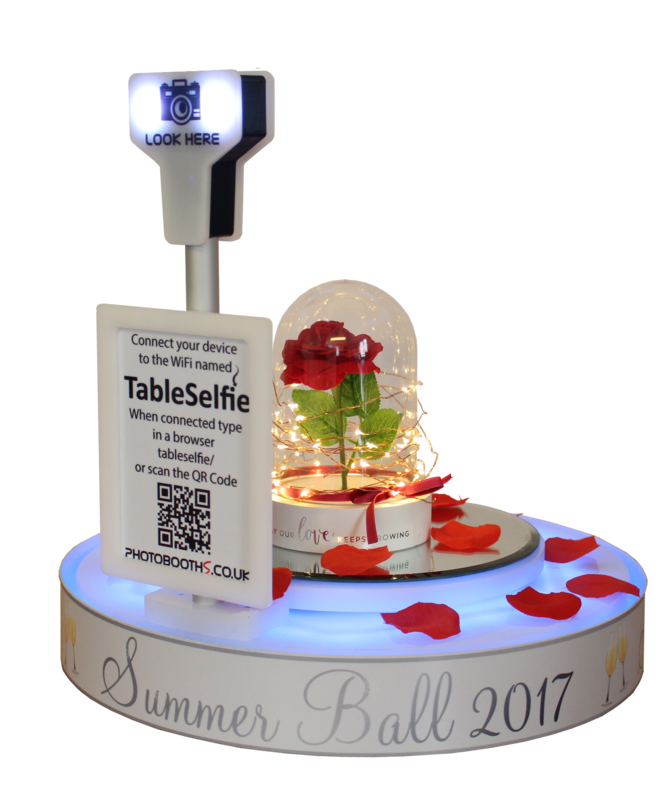 Sitting on the centre of all tables, the Table Selfie is able to link with a mobile phone to capture photos from every angle. The photos can be instantly printed, saved, or even shared on social media. Table Selfies can be combined with your original centrepieces to blend beauty with technology. 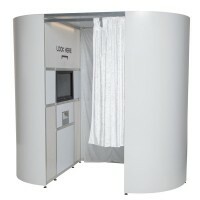 Our photo booths come in two shapes and sizes. Square or Oval. Our Oval Photo Booth is the most popular, as it allows for full branding and skin wraps, meaning it can look just how you want it to. 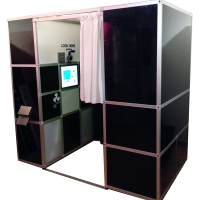 Our photo booths are the leading booths on the market as they feature the maximum amount of features you can use. 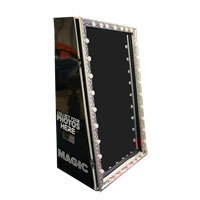 Magic Mirror Booths are the latest hire craze for weddings, parties, and birthdays. 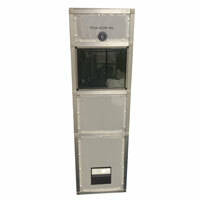 Selfie Pods are great for smaller spaces and take great head and shoulder shots! 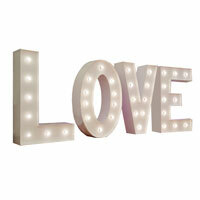 Light up your event with giant LED letters. LOVE letters are commonly available but personalised letters may be available. 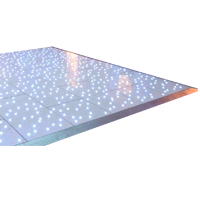 Transform any space into a disco dancing platform by hiring an LED illuminated Dance Floor. Perfect for discos. 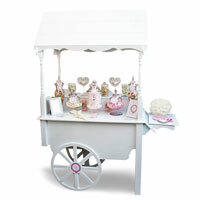 Offer your guests some sweet treats presented on a glamorous candy cart. 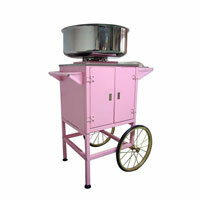 Whip up the pink Candy Floss in a cirque soleil style!